The Fiat CR.42 Falco was a single-seat sesquiplane fighter which served primarily in Italy’s Regia Aeronautica before and during World War II. The aircraft entered service in smaller numbers with the air forces of Belgium, Sweden and Hungary. The Fiat CR.42 was the last of the Fiat biplane fighters to enter front line service as a fighter, and represented the epitome of the type. 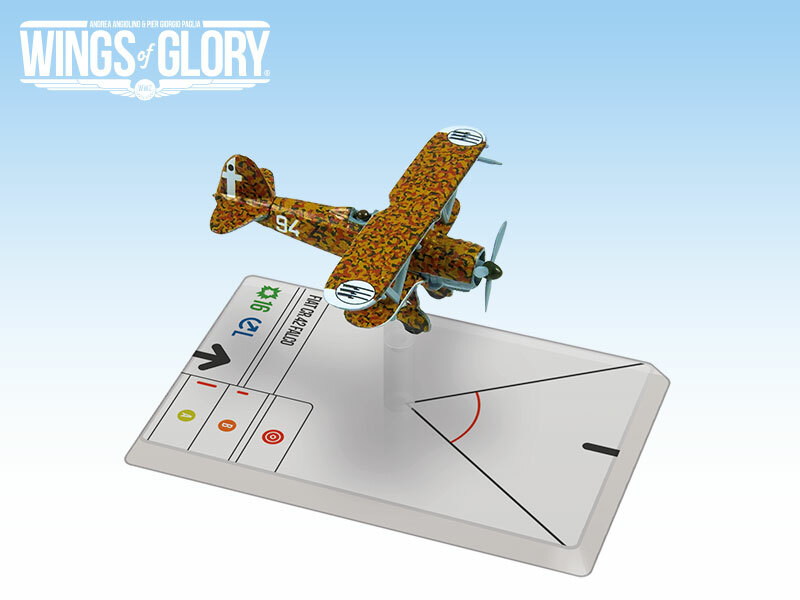 Great Aces that gloriously piloted this aircraft were Luigi Gorrini, Vito Rinaldi and Horst Gressler. 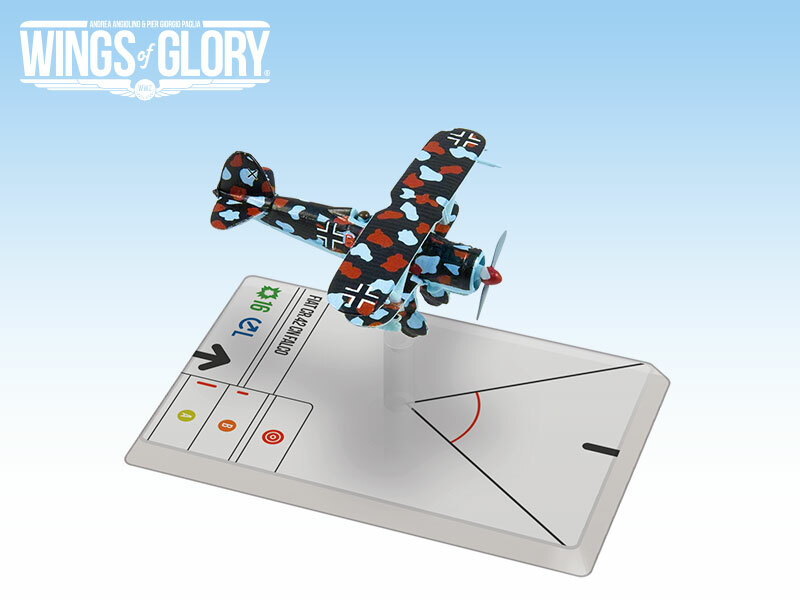 Designed to be used with the popular air combat game system created by Andrea Angiolino and Pier Giorgio Paglia, each WW2 Wings of Glory® Airplane Pack is a ready-to-play model, painted and assembled, 100% compatible with any other WW2 Wings of Glory game product. 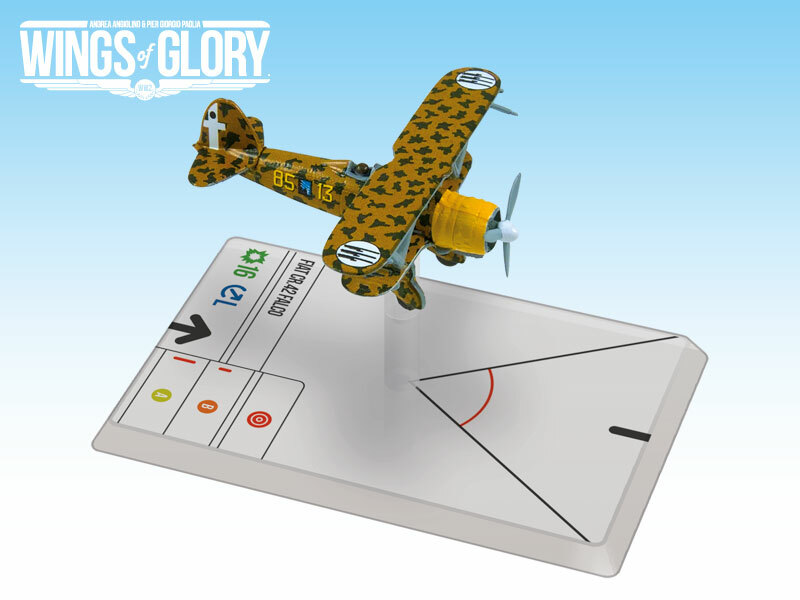 In each pack you will find all you need to play with the airplane: a special base with gaming stats, a variable altitude flying stand, and a specific deck of maneuver cards. To play, you must own a WW2 Rules and Accessories Pack or WW2 Starter Set. Battlestar Galactica – Starship Battles: The “33” Campaign begins! Tripods & Triplanes: production in the homestretch, invaders spotted!